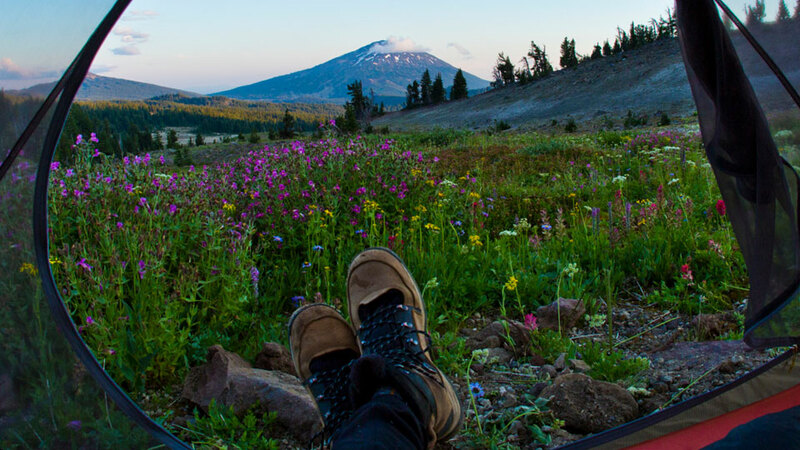 Located approximately 50 miles south of Bend, Cow Meadow Campground is situated where Snow Creek and the Deschutes River flow into Crane Prairie Reservoir. Made up of 18 individual sites, campers will enjoy a large grassy meadow and the shade provided by swaying lodgepole pine trees. While the campground is not on Crane Prairie Reservoir, access is close by and includes a primitive launch that can accommodate small motorized and non-motorized boats. Please note that motorized boats must keep speeds under 10MPH at all times. Crane Prairie Reservoir is managed in partnership with the Bureau of Reclamation and the area offers outstanding wildlife viewing opportunities as well as fishing for rainbow and brook trout, mountain whitefish, kokanee salmon, largemouth bass, black crappie, and bluegill. Cow Meadow is generally open during the months of May through September (please check web site for specific dates) and does not take reservations. Site fees are $10 per night/first vehicle and $5 for each additional vehicle. Sites will accommodate tents, trailers, and RVs under 30 feet, but no water service is available. Amenities include picnic tables and grills at each site, as well as vault toilets serving the entire campground.